Beautiful Incentives: *HOT* Deal Alert! $50 worth of #YesTo products for only $10! *HOT* Deal Alert! 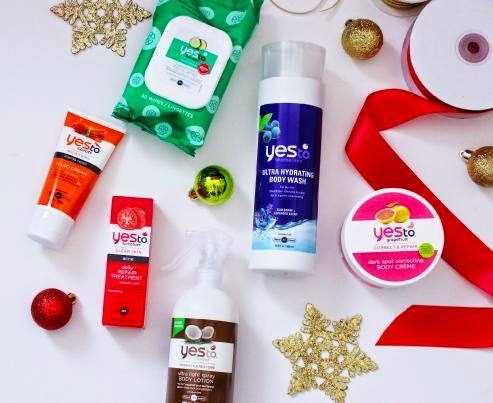 $50 worth of #YesTo products for only $10! $50 worth of Yes To for only $10 Directions. You must sign up for a NEW account for the deal to work. In the search bar on living social type "Yes to"
Click on the deal - There will be 2 choices once you click, even if you only see one. Add promo code CYBERSALE2. It may change on you, so make sure to add it again, when you check out. Then just check out! Your total will be $10 even! Now shop at Yes To and add $50 NON sale items to your cart, PLUS get FREE shipping on $50, if you can keep it right at $50, then you will pay nothing more! ENJOY!